First off, the pictured card has absolutely nothing to do with this post. I was searching teh Googles looking for a picture of "piles of Donruss cards." The internet, which is apparently infinitely more intelligent than me, returned a picture of Denver Pyle who was Uncle Jessie on Dukes of Hazzard. I was completely unaware that TDOH had it's own card set, and that led me to search out those cards. That in turn, led me to a picture of Daisy Duke looking like an Oompa Loompa while Uncle Jessie gives the old man creeper look over her shoulder. Then I remembered that someone I know is somehow related to Catherine Bach (Daisy Duke), and I think it's his/her mother-in-law. Somehow I am not surprised it took over seven years for me to learn that nugget. Anyways, the point of this post was to ask my readers about their knowledge of Donruss cards (not Denver Pyle). I am creating want lists for all the Donruss base cards I am missing. My goal is to collect each base set from 1981 to 2005, achieve what I call Donruss Nirvana, and then be freed from the shackles of collecting any more Donruss cards EVER AGAIN. My question is...Besides 2001 Donruss, do any other Donruss sets include short prints? Like 2002 through 2005? My 12 year old catalog that goes by a name that I won't speak of only goes up to 2001, and I cannot find anything on the "reliable" internet to confirm or deny the elusive short print in the 2002-2005 Donruss sets. You see, I hate short prints. My completist collector brain finds them to be an abhorrent affront to complete set collecting. Thus, I refuse to collect them in my sets. A perfect example would be 2001 Donruss. The set is 220 cards, but only 150 of them are readily available. The last 70 cards are short printed to a ridiculous quantity of 2001 cards each. If I were King, those #$@#%@#$ who came up with this idea would be first against the wall said this Paranoid Android. So, does any one else know of short prints in the Donruss base set catalog? Gracias! 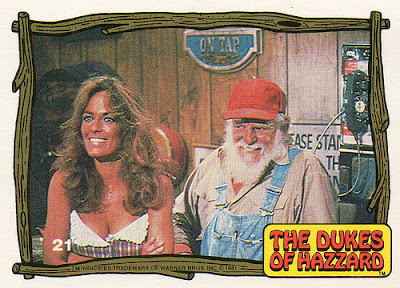 Dukes of Hazzard has 3 sets of cards/stickers. I'd have to dig into my binder where I have them but one maybe two of the series of "Them Dukes" sets were stickers. according to my 2009 Standard Catalog of Baseball Cards, 2002-2004 Donruss does not have any SP's. 2005 does. #1-70 and 371-400 of a 400 card set. Hope this helps. Email me if you want any other info from the book. 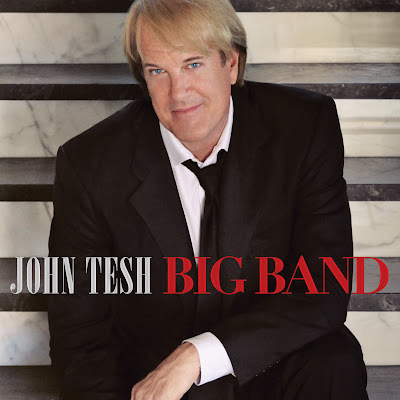 I totally blanked out when you said that you were connected to John Tesh. Please don't say stuff like that. I've been operating my whole life under the theory that he really doesn't exist. I have a bunch of donruss sets I'd love to dump, er trade or sell. I'm sure I have boxes of commons from the 80's too. Interested?